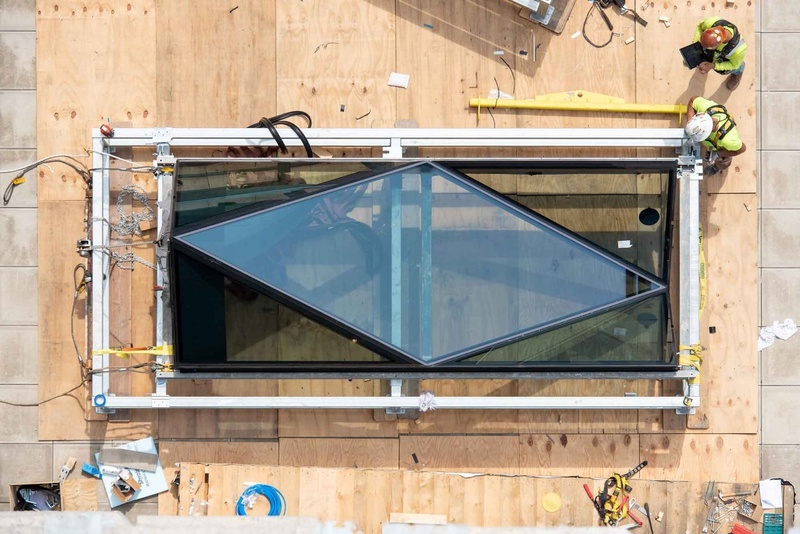 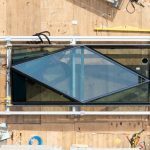 Four months after topping out, Jeanne Gang’s tower at 40 Tenth Avenue is getting its geometric glass installed. 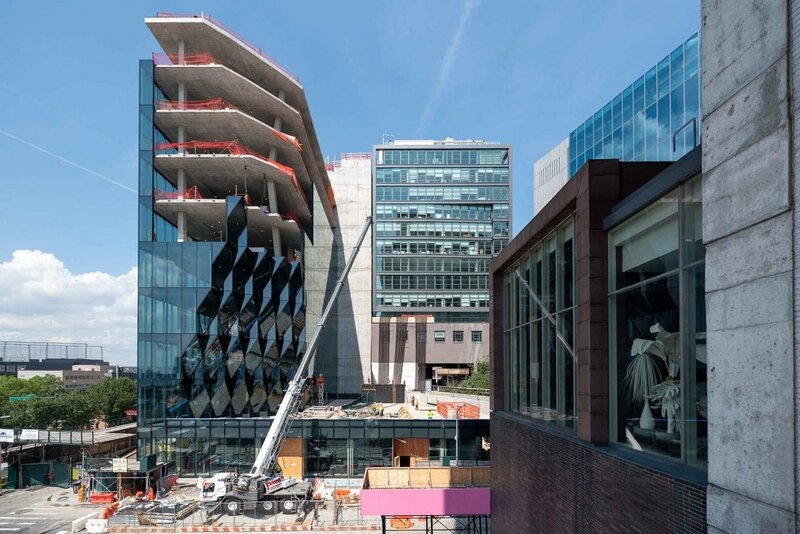 New images released by Studio Gang show the 10-story commercial building taking shape between the High Line and the Hudson River, as well as its unique glazing system on the lower levels (h/t designboom). 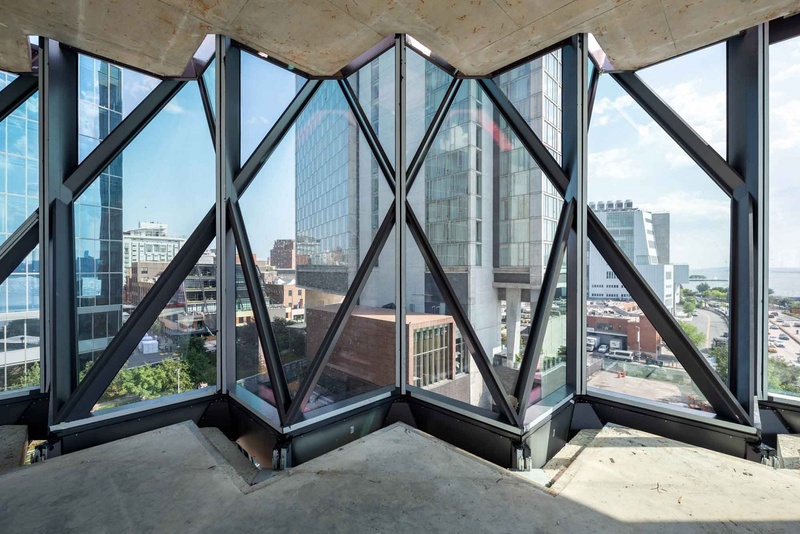 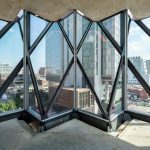 Formerly dubbed the Solar Carve Tower because of the way the building is “sculpted by the angles of the sun,” 40 Tenth Avenue features a curtain wall made of diamond-shaped panels facing downward, with four triangular pieces around it. 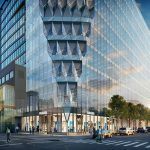 The facade of 40 Tenth Avenue comes from “the geometric relationships between the allowable envelope and the sun’s path,” according to the firm. 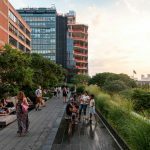 Carving away using sun’s angles brings more sunlight to the High Line, without casting shadows onto the green space. 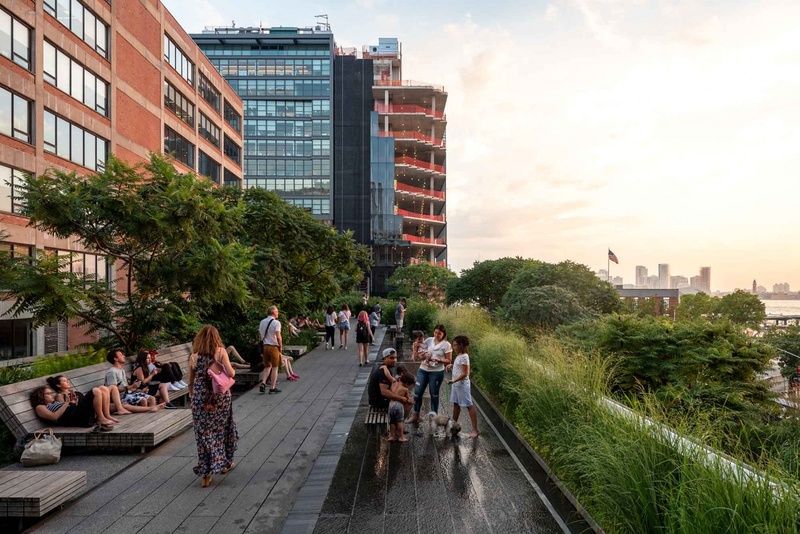 As construction continues to progress, the tower’s place on the High Line becomes more apparent, fitting in nicely with the silhouettes of its neighbors. 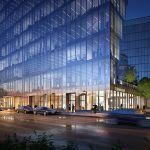 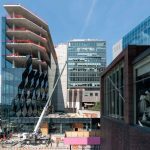 Co-developed by Aurora Capital and William Gottlieb Real Estate, the 139,000-square-foot building will feature class-A commercial space and 20,000 square feet of outdoor space. 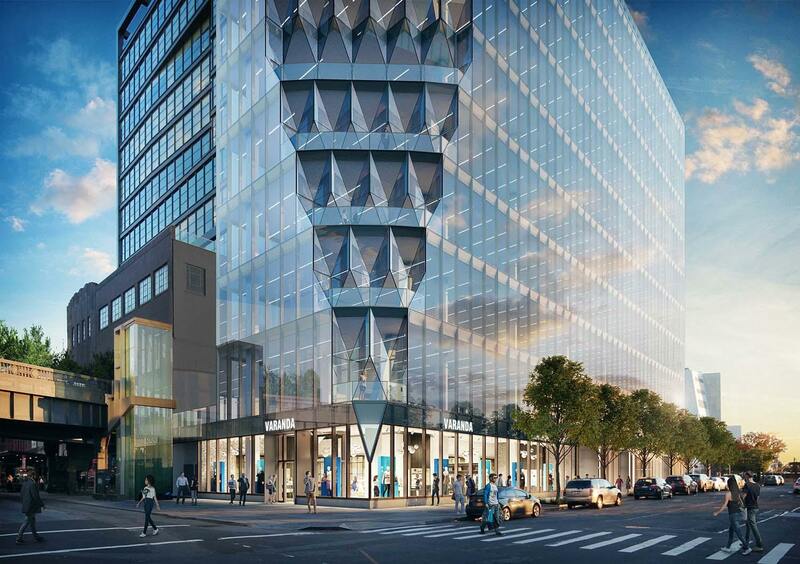 Over 40,000 square feet of retail space will be found on 10th Avenue. 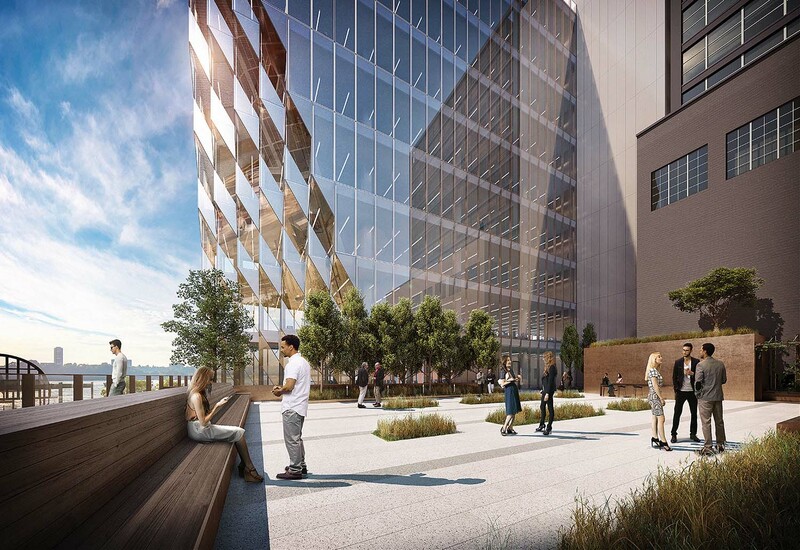 The tower is expected to be completed in March 2019.